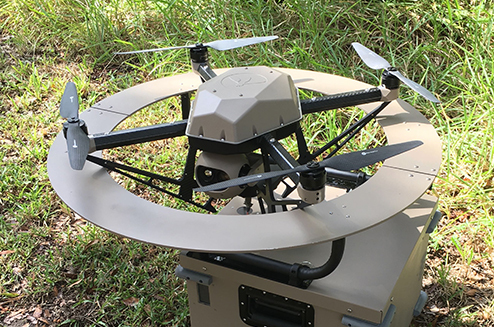 UAVs have already transformed the battlefield, but Wave Relay® Ecosystem UAVs take it a step further. 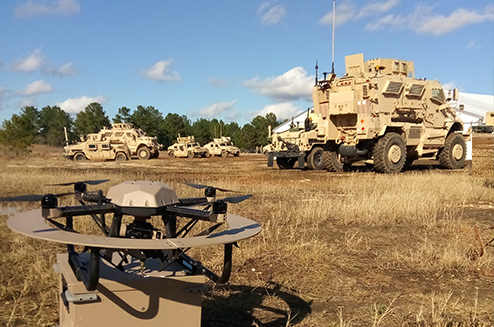 Because all these UAVs are on the Wave Relay® MANET, any warfighter in the network can stream video directly from them – or even fly them. 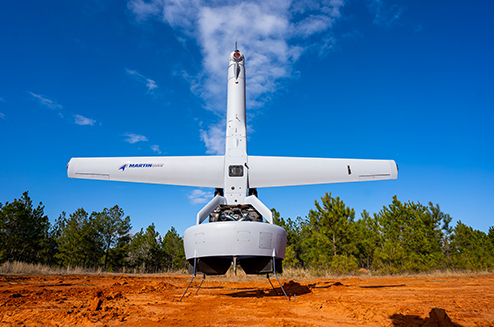 Raytheon incorporates Wave Relay® MANET technology into Raytheon’s family of manned and unmanned systems and sensors to create a true battlefield network. 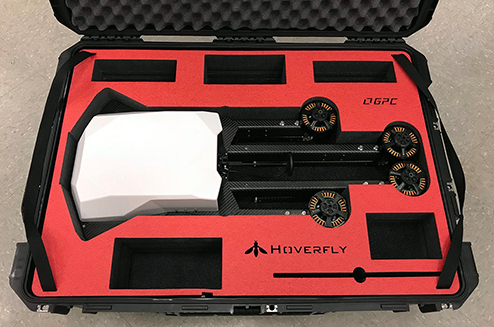 The BigSky™ is a tether-powered folding-frame quadcopter sUAS that carries multiple payloads up to 8.816s and is perfect for unlimited aerial reconnaissance and communications applications. BigSky is optionally tethered and can be easily converted into a free-flying configuration. 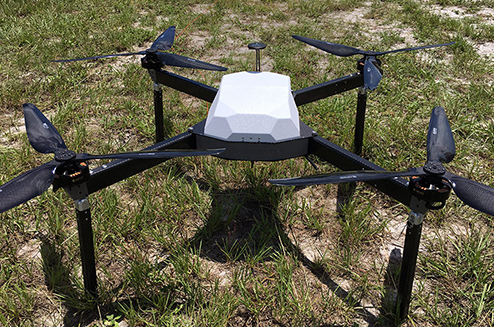 The LiveSky™ is a tether-powered sUAS that delivers 24/7 aerial imaging and communications relay solutions for government, DoD, public safety, and commercial security applications flying 200’ above the launch point. 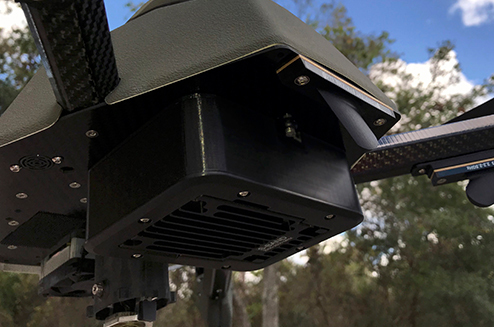 LiveSky systems available in dismounted/expeditionary, mobile, or fixed-base configurations, all of which can fly Wave Relay® MANET radio payloads. The Integrator™ is a modular, flexible, multi-mission capable solution or both land and maritime operations. 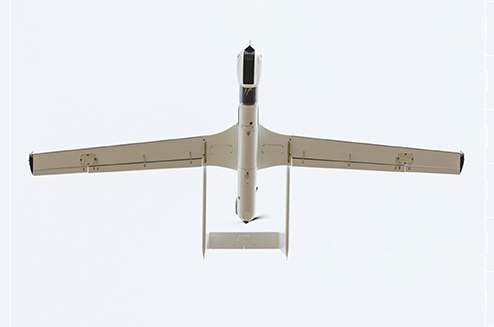 Six payload spaces can be customized with cameras, communication capabilities, and other mission-specific technologies to suit operational needs. 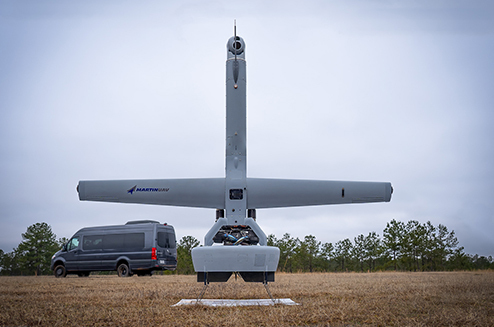 ScanEagle delivers persistent imagery on land or at sea and features upgraded avionics, increased payload capability and a new heavy fuel purpose-built propulsion system that dramatically improves reliability and performance. 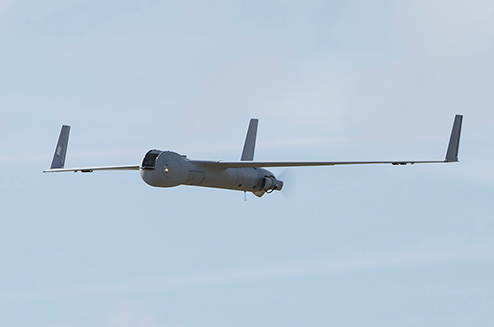 The ScanEagle3 doubles payload capacity and can carry multiple payloads simultaneously. 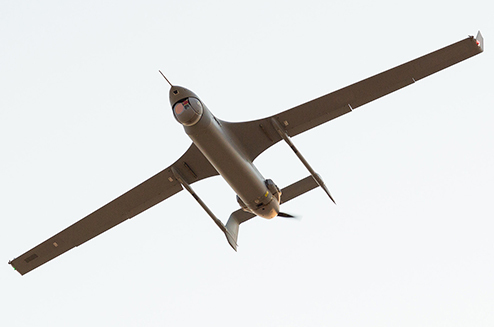 The aircraft is free of International Traffic in Arms Regulations (ITAR) in its baseline configuration, and engineered to deliver superior performance in both commercial and defense operations. 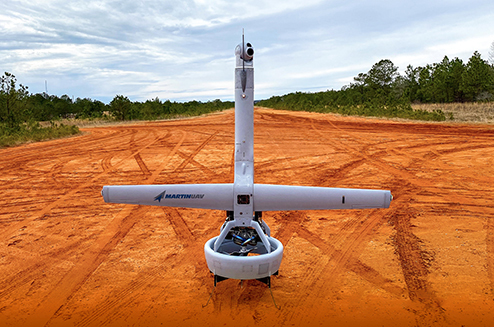 The V-BAT series aircraft is a single-engine ducted fan, vertical takeoff-and-land (VTOL) UAV that can take off and land from a hover, fly 8+ hours in horizontal flight, and make mid-flight transitions to “hover & stare” at any time throughout a given mission set. 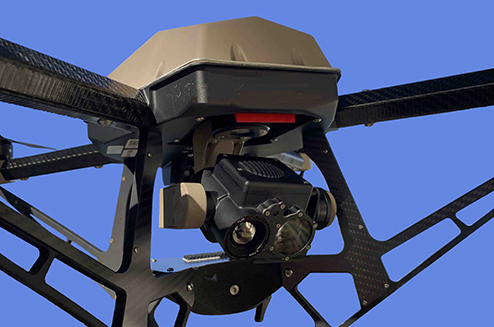 The Embedded Module is Standard Equipment on many of Raytheon’s Unmanned Systems and sensors. Externally accessible and interchangeable frequency modules provide the user with spectrum flexibility to meet mission requirements.